L-R: Interventional Radiology Senior Nurse, Jen O’Keeffe; Senior Clinician in Interventional Radiology, Gerard McLauchlan with patient Ruby; Clinical Director of Oncologic and Soft Tissue Surgery, Professor Nick Bacon; Radiographer, Joanne Lloyd; and Senior Clinician in Radiology, Audrey Belmudes. 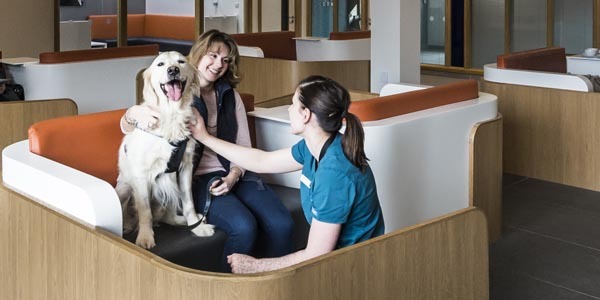 The Rumba Foundation has kindly donated five new lead gowns to the University of Surrey’s Veterinary Cancer Research Programme, run from Fitzpatrick Referrals Oncology and Soft Tissue in Guildford, Surrey. 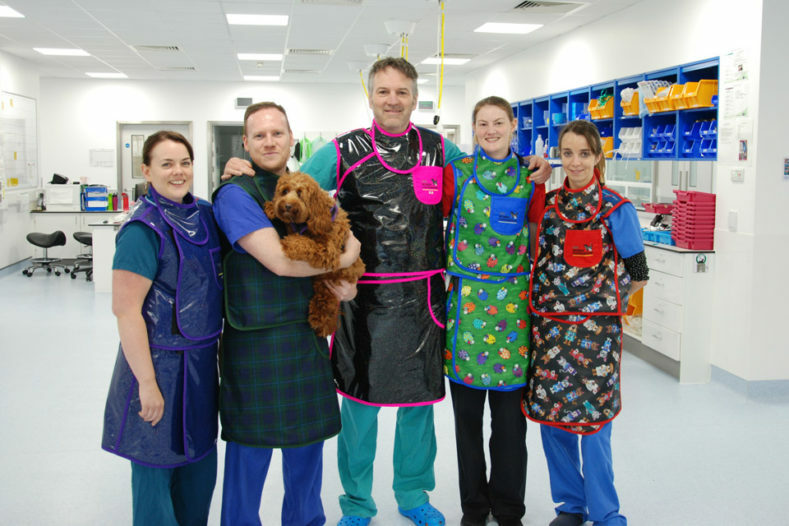 The lead gowns are worn to provide radiation protection to veterinary staff conducting interventional fluoroscopy procedures. 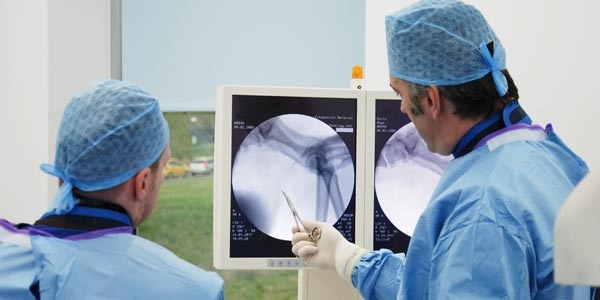 Fluoroscopy is a procedure to view internal structures using X-rays to produce live imaging. The moving X-rays are beneficial to visualise tissue and internal organs while they are in motion. 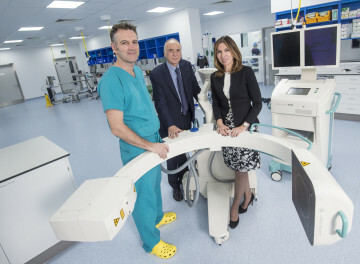 Using our fluoroscopic C-arm, previously kindly donated by Rumba in 2015, we are performing minimally invasive procedures such as opening a cancer obstruction or delivering targeted chemotherapy direct to the tumour. 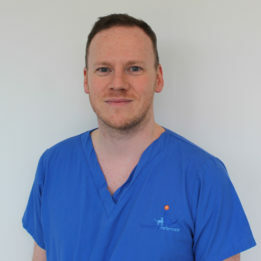 This donation supports Professor Nick Bacon’s work through the Veterinary Cancer Research Programme at the University of Surrey School of Veterinary Medicine where Nick holds a joint position as Professor of Surgical Oncology. 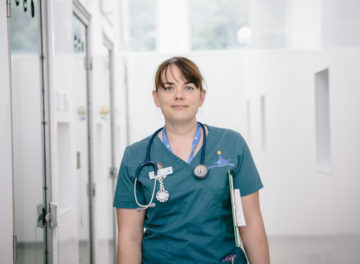 The veterinary school does not have its own animal hospital, and so the patients at our oncology hospital are able to benefit from the innovative research and treatment development that is at the core of the veterinary school’s One Health mission, Nick’s research and the Fitzpatrick ethos. 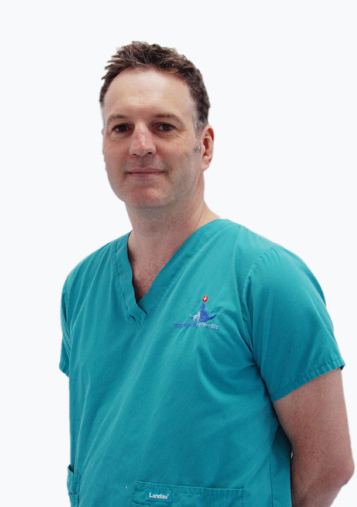 Rumba has been a keen supporter of the Interventional Radiology (IR) service here in Guildford. 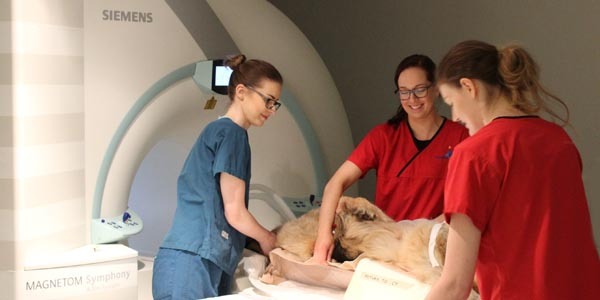 We have been actively working with our human IR colleagues, especially from the Royal Surrey County Hospital, to advance the scope and range of procedures we are able to offer our patients. The added complexity and skill set required means more people are needed in theatre, and this generous gift of the new gowns allows this to happen. 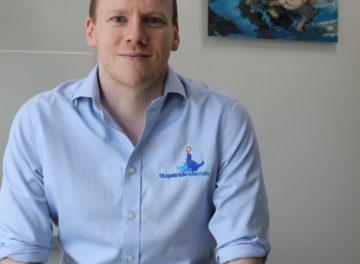 The work Gerard McLauchlan and his team are doing is frankly amazing, and he is now reporting his findings at international veterinary meetings. 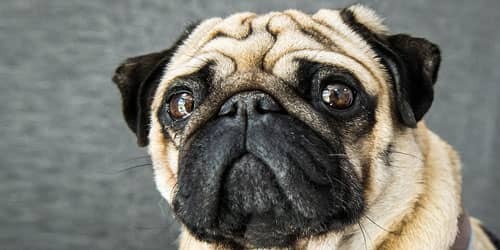 The owners love the minimally invasive nature meaning tiny wounds and minimal pain. I would imagine the patients feel the same way. 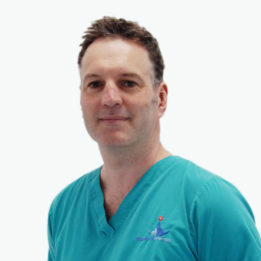 Founders of the organisation, Fiona and Jim Hindle started the foundation in 2012 in honour of their cat, Rumba, and has led the charity to fund highly advanced equipment to give the best clinical care to animals today.